Soccer...Bigger than the Beijing Olympics? The World Cup is just around the corner. If you think soccer is past its prime and takes a back seat to some other sport. Think again. Futbol and the excitement that follows when your team scores a goal is hard to match. The upcoming World Cup in South Africa is a unique sports event. One in every two people in the world is expected to watch the cup on television. Nike, McDonald's, and Coca-Cola—American brands all—see it as a much bigger deal than the Beijing Olympics, two years ago. Major sponsors are paying as much as $40-million for the privilege of associating with the event. Coke's biggest promotion ever includes a deal with YouTube whereby viewers from around the world will post their goal celebrations. Anheuser-Busch and Visa, too, are heavily involved: The Visa Match Planner is a cellphone application that provides scores, retail information, and opportunities to chat about the tournament. In order to support advertisers’ strategies to reach diverse consumer groups, the Interactive Advertising Bureau (IAB) today announced the formation of the IAB Multicultural Council. The IAB also released “U.S. Latinos Online: A Driving Force,” a comprehensive presentation that uses multiple data sources to describe the Hispanic online population, identify the trends and key dynamics in this increasingly important advertising target and provide a resource for communicating with Latino online audience segments. For the full article...click here. 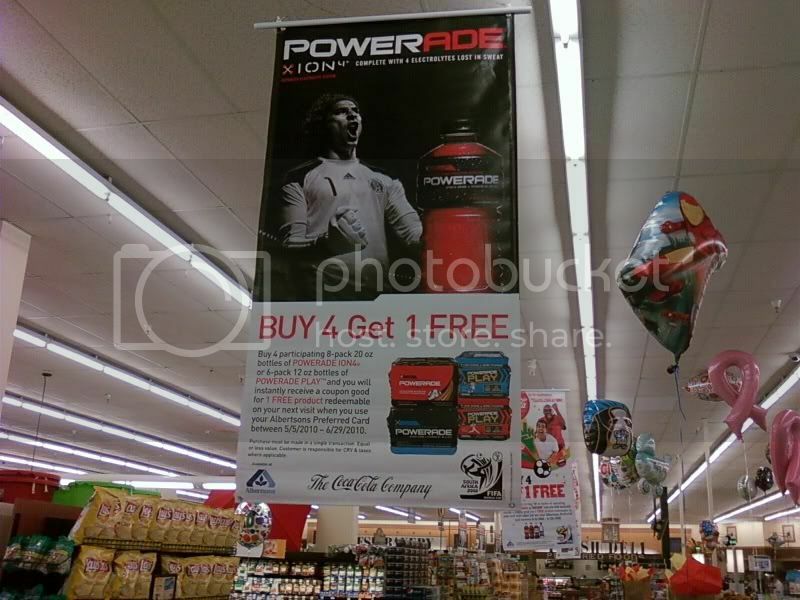 Powerade and Memo Ochoa? Sounds like a smart marketing campaign to me. ATLANTA, May 17, 2010 (BUSINESS WIRE) -- Not everyone has the ability to be in two places at once and perform like a superstar, unless you are Guillermo "Memo" Ochoa, goalkeeper for the Mexican National Team. POWERADE will feature the star goalkeeper in its first-ever, fully-integrated marketing campaign created exclusively for U.S. Hispanic consumer. POWERADE Latino, as the campaign is known, will coincide with the 2010 FIFA World Cup(TM) in South Africa. Recently, FIFA officially designated POWERADE as "Chosen by FIFA to Hydrate 2010 FIFA World Cup Players." "The POWERADE Latino campaign is part of our broader FIFA World Cup(TM) activation this year, reaching more consumers and refreshing them on and off the field with our brands," said Jose Serafin, senior brand manager, Hispanic Marketing, Coca-Cola North America. The Spanish-language advertising campaign will be activated starting June 1 in major U.S. Hispanic markets, and will be supported with a fully integrated marketing platform that includes broadcast, print, out-of-home, online, in-store and product packaging. Three 30-second TV spots featuring Memo Ochoa produced for the POWERADELatino campaign will premiere during the first match of the FIFA World Cup, Mexico vs. South Africa, on June 11. Those looking to stay on top of the conversations taking place can follow the #hprconf hashtag. The popularity of social media has created a race for online engagement and the acquisition of social outposts. It seems as though many are rushing to create a twitter profile, sign up on facebook, join LinkedIn, and so forth. Individuals and organizations are moving from being aware of the impact of social media to finding ways to participate and engage their audiences. However, with this new territory it seems as though many are stopping at the creation stage. Yes they've built their online profiles and setup their accounts but some stop there thinking that's all they need. You know em' when you see them...some call them ghost accounts. How about we call them social mannequins. They look the part and even dress the part but offer no real value aside from some visual aesthetics. Audiences are looking for active communities and opportunities to engage and interact with eachother. Some brands and individuals need to extend beyond the social mannequin stage and offer value through authentic engagement and positive participation.